A great design starts with some really solid techniques and today, we are going to teach you how to utilize the ones provided in Photoshop. One of the most useful ways Photoshop has helped me as a designer is being able to cut out an image or extract it from its background easily. By removing the background, you can let your subject be the focus and copy and paste it into any new scene. There is no one way to carry out this effect. In fact, Photoshop has several tools that can help you clean up your images and set them up for the perfect collage or photo manipulation. To see how it’s done, let’s take a look at the top three tools photographers and artists often use. Need something fast and easy? 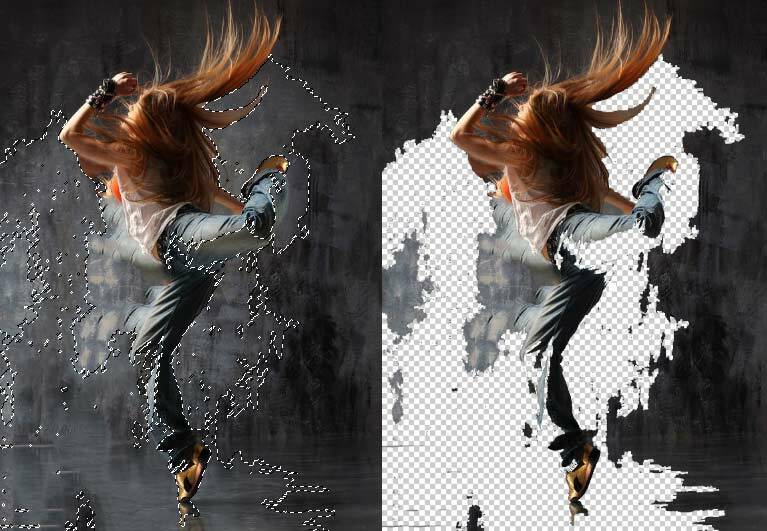 Well look no further; with Photoshop’s Lasso Tools you can easily remove any background in a matter of a few short clicks. You have three to choose from: the main Lasso Tool, the Polygonal Lasso Tool, and the Magnetic Lasso Tool. Hit (L) on your keyboard to bring up these tools. The main Lasso is more freehand and allows you to create any shape that you’d like in order to cut out the image. But if your hands aren’t as steady as you’d like, try the other tools. The Polygonal Lasso Tool allows you to create short, straight lines carefully around any object, while the Magnetic Lasso Tool perfectly snaps the line to the object’s edge. You’ll definitely have to experiment and take some time with these tools. And depending on which one you choose, the edges may come out harsh or imperfect. Because they create a selection, the major problem you’ll run into is closing the selection too soon. This may cause you to have to start over lots of times until you’ve created the selection perfectly. And yes, this does prove to be a bit annoying at first, but if you keep at it the mistakes will happen less and less. Full range of brush sizes. 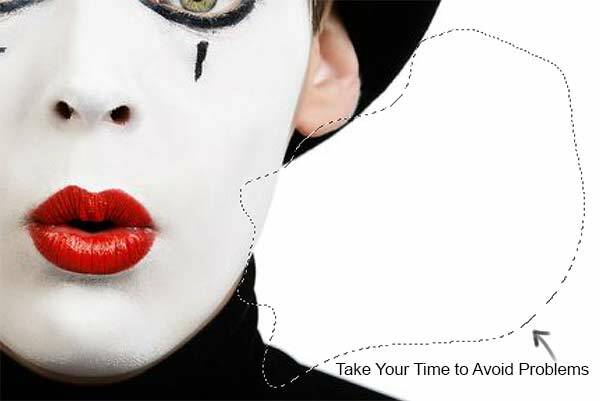 If you would rather get into the corners of the image yourself, then meet the Eraser Tool. The eraser tool simply does what it is called; it erases anything you need gone. Increase and decrease the brush size to make sure you erase all the nooks and crannies without leaving any part of the background there. Soft eraser edges remove too much. If you decide to use the Eraser Tool, it’s important to be careful with the brush Hardness. Right-click on the canvas to bring up the Hardness or hit F5 to adjust it within the Brush Panel. Keep the Hardness to 100% for crisp, clean edges. If you vary the hardness at all, you might end up removing more than you wanted because the blurred edges erase extra areas. 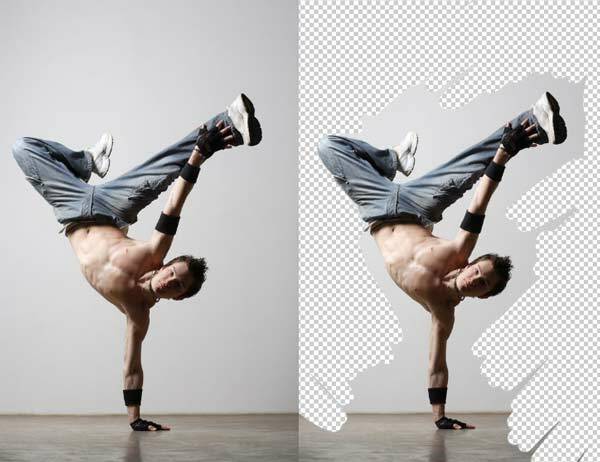 Last but not least the fastest possible way to remove any background from an image is to use the Magic Wand Tool (W). This works especially great for images that have a solid white background that you want gone quickly. 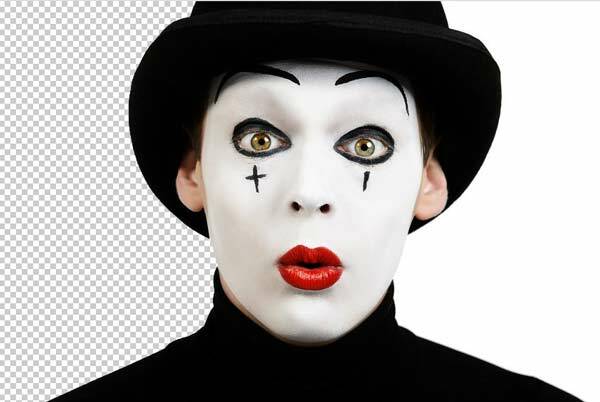 Simply select the Magic Wand Tool (W) and click on the white background part of the image. Hit delete and you’ve got the perfect image cutout! As great as this tool is, unfortunately it doesn’t always work. As your image selection gets more complicated, and moves away from the standard white background, the magic wand will start to create selections over wider areas. This means that if you hit delete, you will probably remove more than you would like, including parts of your subject that you wanted to keep. To avoid this, use other tools for more complicated pictures and reserve the Magic Wand tool for simpler to extract backgrounds. There you have it! Now that you have mastered Photoshop’s top three tools for extracting photos, which one is your favorite to use? There are pros and cons to each tool so try to get as familiar with them all to understand which scenario works best for them. And with all the resources available in this versatile program, there’s always more ways to get the job done. If you liked this article, or know of more tools that you prefer over these, feel free to let us know in the comments below!